Well congratulations!! You found it! Welcome home to 53 Dolerite Drive! 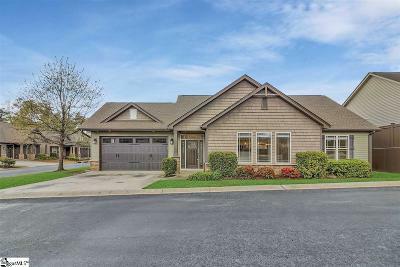 This BEAUTIFUL craftsman style home has just been renovated and sits perfectly on a corner lot is this great subdivision! Good luck keeping both hands on the wheel in this neighborhood. You&apos;ll be to busy waving back at all the neighbors! Pull on up to this stunning home and take notice of the meticulously maintained yard! Now, lets get ready to fall in love! Walk on in through that stunning front door into your new home. This open floor plan, along with all the natural light pouring in and tall nine foot ceilings, give this home that wide open feel you&apos;ve been looking for! And how about those Bamboo floors!? Walk through your new giant living room featuring a gorgeous stone gas log fireplace. Over looking this great space is your brand new kitchen. With brand new granite countertops, tile back splash, and stainless steel appliances this kitchen has it all. And what a great layout to stay involved with guests and family! You&apos;ll never miss a play during the big game again! Conveniently located off the kitchen is the spacious dining room perfect for those holiday dinners, family gatherings, or everyone coming back together after a long day! Did yall see that beautiful sliding farm house door on that laundry room! SWOONIN! Lets go check out the master suite! This perfect sized master is exactly the space you deserve after a long days work. Need that spa feel to relax? We got you covered! From the beautiful seamless tile shower, to the large jetted tub, and the stunning granite double sink vanity you can&apos;t do anything but relax. On the opposite side of the house you&apos;ll find two more great sized bedrooms which share another updated full bathroom! New light fixtures, new floors throughout the home, new paint, new appliances, new cabinets, new counter tops, new water heater, new garage door. YALL WHY ARE YOU STILL READING THIS! LETS GO SEE IT!